Back in the summer of 2011, my fifth marathon for this blog explored the world of post-apocalyptic cinema. I named it the "We're All Dead!" series and watched intriguing films like The Quiet Earth, Monsters, and On the Beach for the first time. I also enjoyed silly movies like Kevin Costner's overly ambitious epic The Postman. It remains one of my favorite marathons, so returning to that genre is long overdue. This time, I'll be digging further and catching up with both classics and lesser-known selections. My first post covers a recent 2013 release that drew a mixed reaction from audiences and critics. 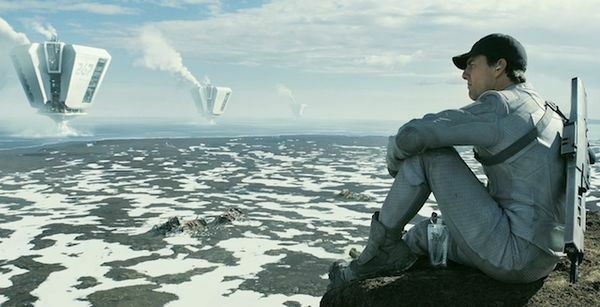 Oblivion makes Tom Cruise one of the last men on Earth preparing to abandon the planet. Will he discover a massive conspiracy? Is the sky blue? Both questions and more will be answered in this second feature from Tron: Legacy director Joseph Kosinski. The year is 2077. Earth was devastated in a battle with invading aliens 60 years earlier, and few people remain. Jack Harper (Tom Cruise) is tasked with securing important devices that will assist with humanity’s transition to the Saturn moon of Titan. He lives in the Tower 49 base above the former New York City with his partner Victoria (Andrea Riseborough) and prepares to exit this planet. They were brainwashed five years earlier, but remnants of a past life remain in Jack’s brain. He dreams of a strange woman (Olga Kurylenko) and yearns not to leave, but the alien Scavs threaten him each day. When Jack encounters one of them up close, he discovers that all is not what it seems. These revelations paint an entirely new picture of the war and who’s really running the show behind the scenes. Is the post-apocalyptic environment believable? 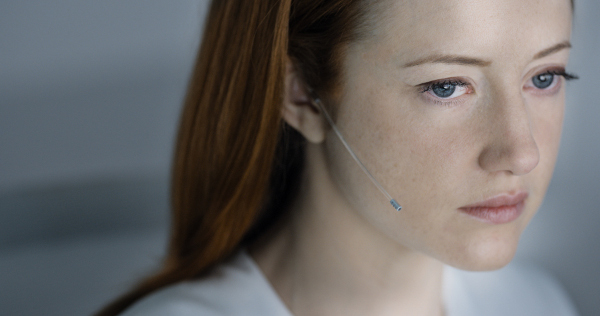 For a movie that makes good use of CGI, Oblivion feels pretty authentic. There are a few shots that resemble a video game more than a film, but even those are so gorgeous that it’s hard to dislike them. The cool interiors of Tower 49 contrast sharply with the colorful environment that remains in a few parts of Earth. Kosinski clearly shows the humanity we’ve lost via the clean, static home above the ground. When Jack travels down to the world below, it’s dirty and yet retains the remnants of a thriving society. The challenge with such an effects-heavy project is making us believe that anything we’re seeing could exist. The wonderful score from M83 sells the grandeur of both the futuristic structures and the striking natural beauty. While the epic structures and massive land masses may not seem realistic, they fit within the world of this movie. That’s the key element because it maintains the stakes of the ultimate conflict. 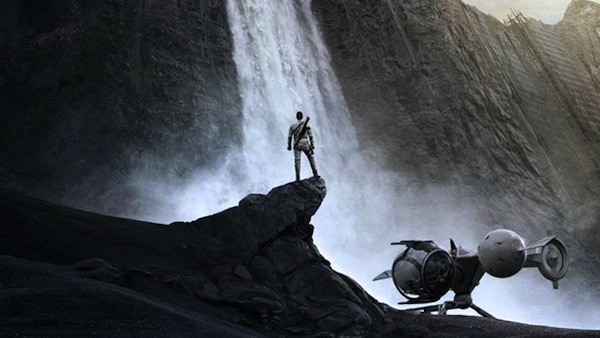 If the actors feel like they’re playing in a green-screen environment, it falls prey to the George Lucas syndrome and takes us right out of the movie. Would I rather be dead or spend time with these characters? Jack is set up as the everyman with his Yankees hat, record collection, and interest in basketball. Part of him would rather die than abandon the planet. It’s easy to admire that connection to our Earth, and Cruise has never had a problem being likable on screen. His movie-star persona doesn’t get in the way of making Jack engaging. Kosinski’s methods are pretty transparent; who wouldn’t like this guy? Victoria seems nearly emotionless, but she’s hardly a bad choice for a working companion. Her character limitations make sense once the twists appear, and Andrea Riseborough effectively plays her static nature. 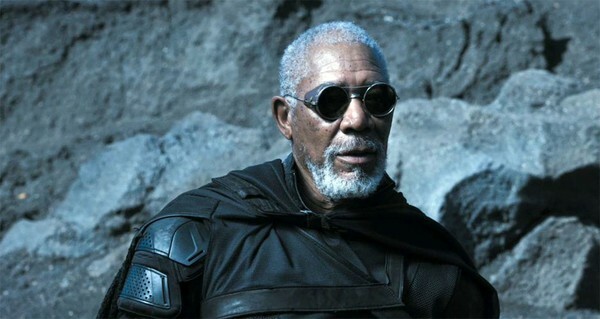 Morgan Freeman has fun as Malcolm, a mysterious figure Jack meets on Earth. The one question mark is Olga Kurylenko, who is attractive but isn’t entirely convincing. She works perfectly as the image from Jack’s memories, but the actual character doesn’t generate the same level of interest. Beyond surviving in this dreary world, does our hero have a compelling quest? This story is primarily a mystery with the naïve hero slowly discovering the man behind the curtain. Malcolm sends Jack on the path towards knowledge, but he can only do so much. Although the resolution is fairly generic, the journey is exciting because we’re discovering the truth along with Jack. When he comes face to face with a shocking adversary, it’s a surprise because Kosinski hasn’t tipped his hand. The interactions between Victoria and the space station contact Sally (Melissa Leo) are strange, but that just adds to the mystery. Why does she keep asking if they’re an “effective team”? Is this a strange performance evaluation from a nasty corporation? Sally would be more interesting if Leo wasn’t giving her such odd mannerisms, but that’s been the norm for her acting lately. Even so, we’re on board with finding out the truth right along with Jack. It might not hold up as well to repeat viewings, but the original journey is an entertaining ride. Although Oblivion is a stunning visual presentation, some of its best moments are the quiet scenes. When Jack first visits his cabin on the lake where he gathers artifacts of a forgotten era, it’s a charming moment. He turns on a record, shoots hoops, and just hangs out in the quiet setting. Compared to the drone-infested wasteland around him, this haven reminds us what’s been lost. It may be obvious yet works because of Cruise and the beauty around him. It’s also easier to be direct when you have M83 supporting the emotions. The fast-paced chase between Cruise’s ship and the three drones is exciting because of the impressive effects, but it’s more forgettable than the slower moments. The art direction and ambitious visuals rarely miss a beat and shine the most when there’s little chaos on the screen. Kosinski’s Tron: Legacy also had some issues but showed a unique style. He brings that artistry to this story and is clearly a filmmaker to watch in the sci-fi universe. How heavy-handed is the thematic connection to our present-day world? There’s clearly a longing for simpler times in this story, which distrusts technology in many forms. The vicious killing machines are flying robots, and they’re not in the humans’ control. The pivotal moment from the past involves our exploration into the unknown regions of space. Maybe the space program’s end isn’t such a bad thing, at least in the minds of writers Karl Gajdusek and Michael DeBruyn. 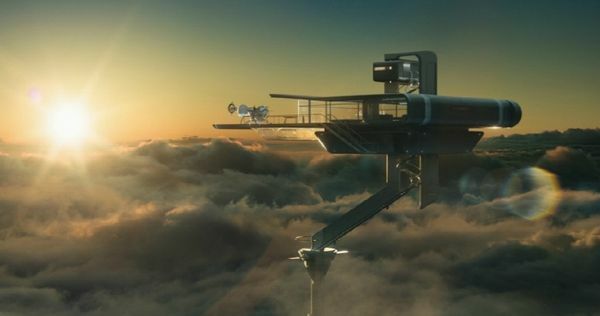 Unlike many post-apocalpytic films, Oblivion isn’t presenting a strong allegory about the dangers of our current path. We can infer that Jack’s humanity is tied to nature, but that hardly seems like the primary goal of the filmmakers. They’re building a mystery to uncover as humans face their final days on this planet. Next week, I’ll venture into the wasteland and join the Six-String Samurai. As cheesy as it is, I loved this movie. The climax (giant triangle of death!) was brazen in its willingness to be utterly ridiculous and yet kind of awesome. 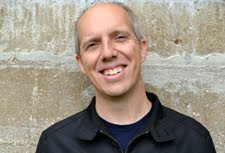 Joel, I also enjoyed it. It was pretty on the nose, but that didn't bother me nearly as much as a lot of people. The triangle of death was a nice touch and fit the silliness of a lot of it.